I was given an incredible opportunity to give these Hickies a try. 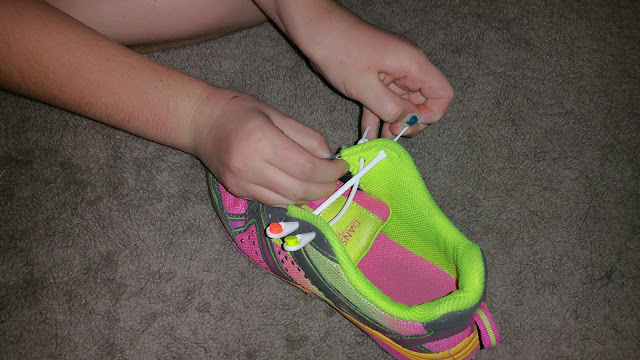 I have to say that I have never heard of this product before but if I don't have to see shoe laces all over the place it's worth a try. 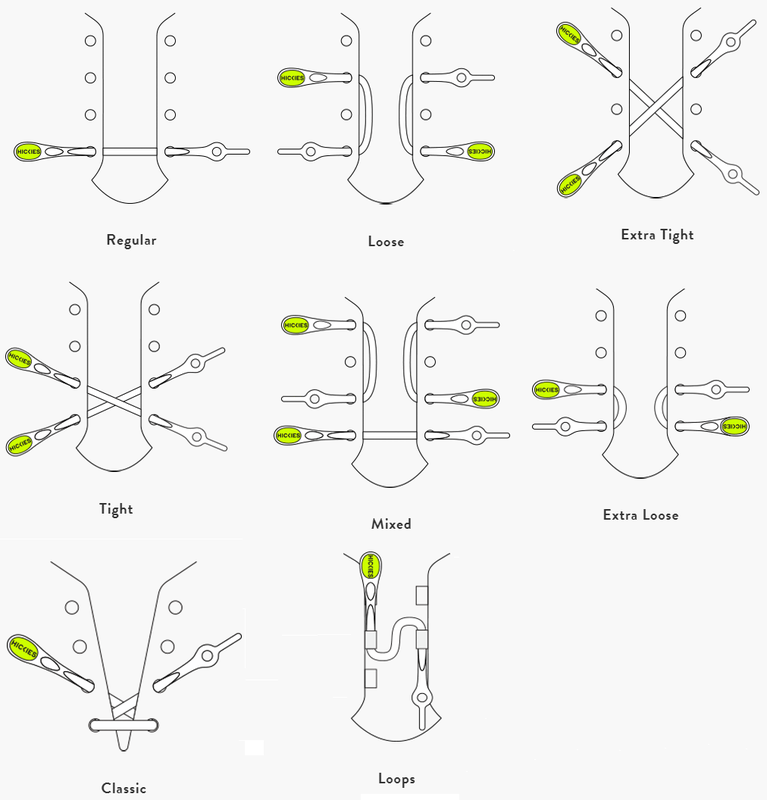 For those like me who have no idea what Hickies are, they are a lacing system is universal by design and is crafted to work with any shoe, as long as it has eyelets. You can wear them in your sneakers, work shoes, boots, and even dress shoes. I am so glad that these Hickies came with instructions. I am that personality that needs step by step instructions. (I know, I know). 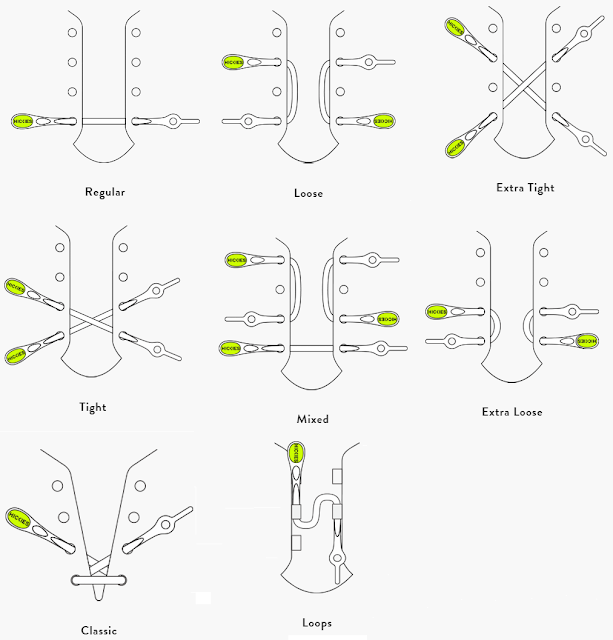 If that's not awesome enough I found some diagrams on the website to help even more. 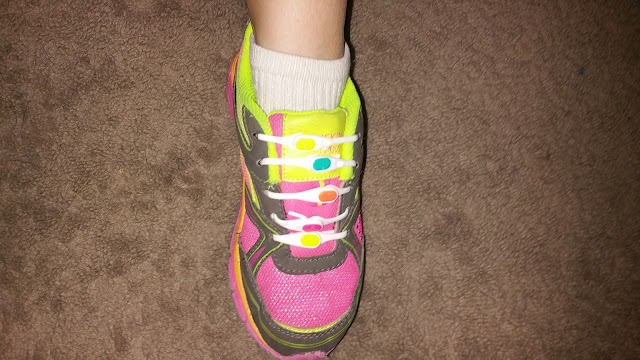 We were given 2 sets to try out: one bright colored kids Hickies 10pk, which match perfectly with my daughters pink shoes and a set of black Hickies 14pk. The black ones don't say kids on them so I am assuming they are adult size. My daughter and I had a great time trying to get these Hickies on and figure out the right style. She really wanted to do it all and I was all for it. It would be bad if these were harder than I thought to put together and she couldn't do it unless I was with her. I am happy to report that my 10 year old was able to put it all together. She did have a little bit of problems "snapping" them but we decided to make them on the loose setting except the last snap where it was regular. This way she is able to slide her feet in the shoes but they are still tight enough for her to run and jump in them. I wasn't sure if my son was going to want them but I was wrong. 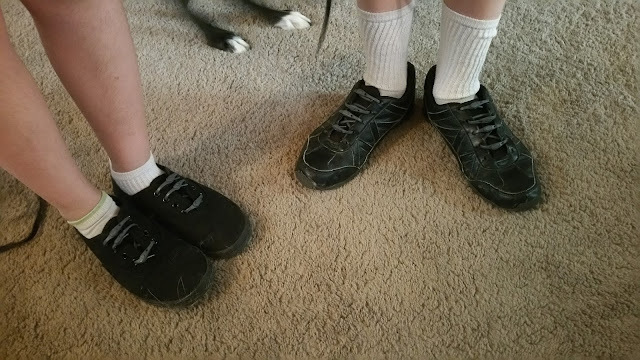 We put the black "adult" Hickies on his shoes and since we had 6 left over we were able to put them on my daughter's school shoes as well. We decided to use the extra tight method with these. I am not 100% if they are different sizes or just get more in a pack with the kids vs adults. I guess I should have put them side by side to tell. I can tell you that the same loose method was way too big so that's why we went with the extra tight. They both decided to have the slip on method so they don't have to mess with the snaps. We were having so much fun taking pictures of the shoes that even our dog got in on the action. I wasn't really sure what to think when we first received these but I am surprised and pleased at the outcome. 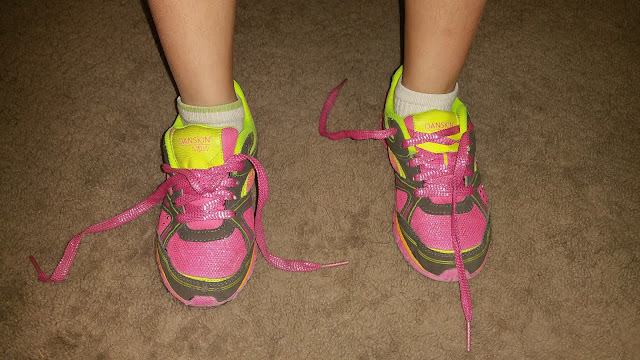 The kids love them, shoes are staying on, I'm not having to deal with untied shoes all day. It's really a win/win situation. 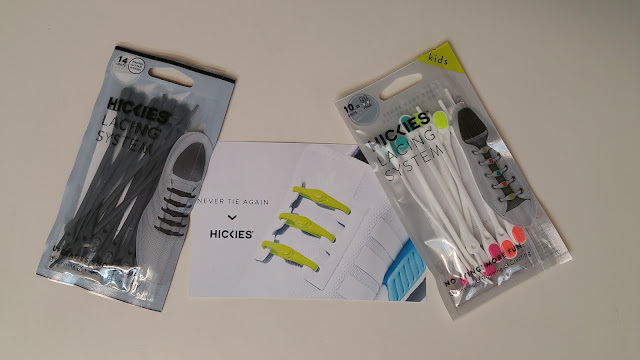 Hickies is offering my readers an awesome deal of 25% off w/ code USFAM2 but hurry this deal is now thru Oct. 31st!